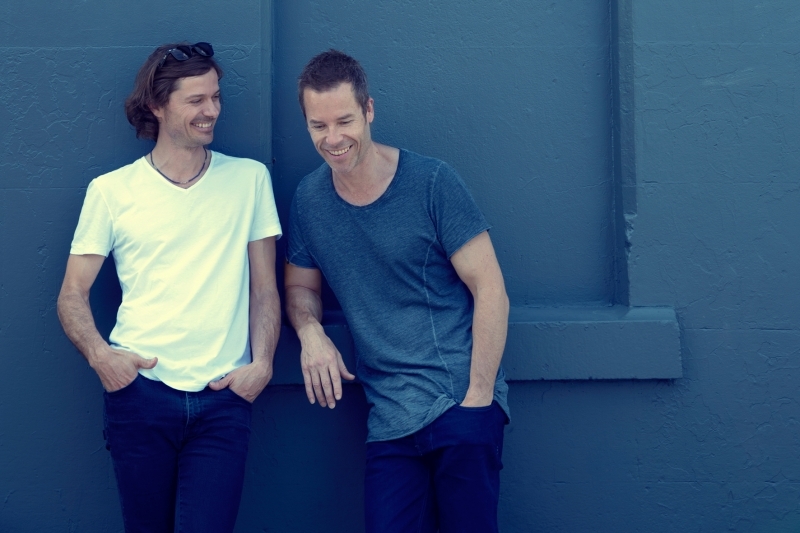 Emmy Award winning, Golden Globe nominee Guy Pearce recently released an album called ‘Broken Bones’. Usually when an actor releases an album of music it’s nothing special, usually some covers and some disingenuous originals that were probably written for them. The album doesn’t really go anywhere, usually bought during a hit of star-struck-hysteria, ‘Oh he did that one movie! This’ll be great!’. It usually isn’t. But this was surprising. The album from the Aussie mega-star of both television and movie screens features Pearce’s awesome and unique voice with a musical accompaniment that just oozes coolness, originality and creativity. Why am I reviewing an album on a lifestyle blog you might ask? Well, Pearce is coming to town, and I’m very keen. Following his completely sold-out launch shows, Guy has teamed up with Powderfinger’s Darren Middleton, who is also showcasing his own solo talent. ‘Former Powderfinger guitarist and songwriter extraordinaire, Darren Middleton has garnered acclaim for his solo album, ‘Translations’, playing on his melodic strength and taking fans on an intricate journey’. The two will be performing Friday 13th February at the Nambour Civic Centre, playing a list of their own works with a full backing band in tow. There are whispers of a future album collaboration in store from the pair of aussie legends. You can tell that there is some creative chemistry between the two. They are obviously at ease around each other. Says Guy, ‘I’ve been a fan of Darren’s for 20 years. He’s a wonderful storyteller and the idea of getting to perform together is a thrill for me. He’s a great songwriter and as we know, helped take Powderfinger to the top of the charts many times over. Apart from getting to sing together, I know we’ll also have a good laugh’. They hold each other in very high acclaim, revering each other for their previous work and respecting the new. Says Darren, ‘The idea of this tour developed from an early conversation between myself and Guy, and I think, gave both of us an unexpected and interesting surprise. Having been a fan of Guy’s film work and remembering something he said in an interview years ago that framed my own drive for music perfectly – and then listening to his incredibly well constructed album, I’m really excited to be hitting the road for this unique musical adventure’. As a fan of Guy’s I’m not surprised to see him evolving his career even further, or at his success so far with his first album. He has never been shy of a challenge, best embodied in his role in the classic nineties hit, Adventures of Priscilla, Queen of the Desert (1994), or any of his other art-house style ventures that shocked and challenged the world of theatre. This man is one of the great talents of our time and should be respected as such. For those few who have never heard of Mr Middleton or Powderfinger – perhaps you have lived under a rock for the past twenty or so years – they are one of Australia’s most famous rock bands, with five number one albums, four of which were preceded by each other. They also have ten albums certified as ‘Multi-platinum status’, with Odyssey Number Five – their most successful of albums – achieving eight times platinum, shipping some five hundred and sixty-thousand units. To say they’re good would be an understatement of their immense talent and success. As mentioned earlier, the pair will be performing on Friday 13th February at the Nambour Civic Centre. Tickets are selling for $48 at presale, and $55 at the door. For those up for one hell of a night I suggest you get in quickly, these tickets will not stick around. For more information on the event and ticket sales, visit Sunshine Coast Venue and Events.